Hepatocellular carcinoma (HCC) is one of the most common and deadliest cancers worldwide with a rising incidence in the Western world. HCCs are characterized by high resistance to systemic therapies induced by phenotypic and molecular heterogeneity. For almost 10 years, the tyrosine kinase inhibitor sorafenib was the only approved treatment for advanced HCCs in patients with preserved liver function, and until 2016, no new compounds tested in large phase III studies have led to a survival benefit. The tyrosine kinase inhibitor regorafenib, a fluorinated sorafenib analog, was the first substance that showed a significant improvement in overall survival after failure of sorafenib treatment, which subsequently led to its regulatory approval in a second-line setting in 2017. In addition, the non-inferiority of lenvatinib in comparison with sorafenib opened another therapeutic first-line option in the same year. Furthermore, several other compounds showed promising results in recent phase III studies, including ramucirumab in patients with elevated alpha-fetoprotein (AFP) levels as well as cabozantinib in second- and third-line settings. 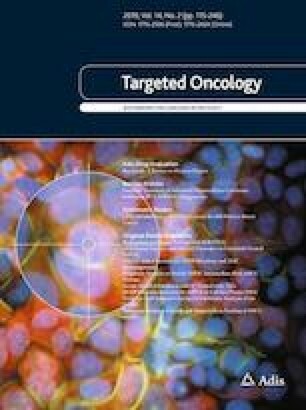 In addition, promising early reports of the immune checkpoint inhibitors nivolumab and pembrolizumab, with objective response rates of 15–20%, paved the way for immuno-oncological interventions for HCC and these will probably gain increasing attention as mono- and combination therapies. In summary, following the approval of sorafenib in 2007 and almost 10 years of therapeutic stagnation, results from recent clinical trials in first- and further-line settings for the first time demonstrated efficacy of several active compounds in advanced HCCs. Thus, a sequential approach should now be implemented in HCC treatment and will improve the survival of HCC patients. Jens U. Marquardt has received honoraria from Bayer, Roche and Pfizer. Arndt Vogel has received honoraria from Bayer, Roche, Lilly, EISAI, Ipsen, BMS, and MSD. Anna Saborowski and Carolin Czauderna declare that they have no conflicts of interest that might be relevant to the contents of this manuscript. Rimola J, Diaz-Gonzalez A, Darnell A, Varela M, Pons F, Hernandez-Guerra M, et al. Complete response under sorafenib in patients with hepatocellular carcinoma: Relationship with dermatologic adverse events. Hepatology. 2017. https://doi.org/10.1002/hep.29515.